Is Tony Perkins Trying to Hand New Orleans Back to Democrats? 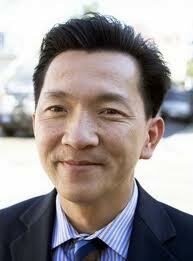 Joseph Cao is a centrist Republican representing New Orleans, and was the only Republican to support the healthcare reform bill in the House. New Orleans is, of course, a very Democratic district, and as such, Cao has to do something novel in modern American politics, namely consider the needs and beliefs of his constituents when voting. He’s also notable as a Republican in that he’s not an extreme anti-gay bigot, though he is very anti-choice. The centrist New Orleans Republican is in for the fight of his political life tomorrow, but a previously unreported poll shows him neck and neck with Democrat Cedric Richmond. Even so, a last-minute attack ad by Tony Perkins’ Family Research Council could cost Cao the race. But Tony Perkins’ Family Research Council decided to air a last-minute ad in Cao’s district over the weekend – a move that could very well cost Cao the race. The ad, run on a local conservative station that features talkers like Rush Limbaugh and Sean Hannity, could be the difference in this close race. In a race this close, every vote matters, and the effect of Perkins’ ad will be to bleed some support over to the third-party Tea Party candidate in the district. The one or two percent that goes to that candidate could be the difference in this election. Perkins says that Democrat Cedric Richmond is unacceptable to him as well, telling the Times-Picayune that he “know[s] Cedric. I served in the Legislature with him… He’ll be no better.” But by his tormented logic, his ad could have the very effect of electing Democrat Cedric Richmond. No one ever accused Tony Perkins of being smart. I mean, this is the guy who thought it would be a good idea to buy David Duke’s mailing list, because, you know, they’re going after similar things, ideologically.